Analysis: Bailey's only field-goal try of the day came from 45 yards. 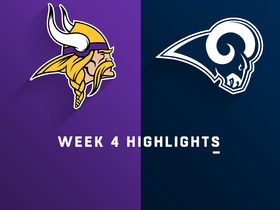 After being signed by the Vikings in Week 3, Bailey made 75 percent of field goals he attempted (21-for-28) and converted 96.7 percent of his extra-point tries (30-for-31). The veteran kicker is set to become an unrestricted free agent this offseason, but Bailey shouldn't have difficulty finding a starting job elsewhere in the league if he doesn't re-sign in Minnesota. Analysis: Bailey looks to be getting back in the swing of things after a dreadful stretch from Weeks 12 through 14 during which he connected on just two of his six field-goal attempts. He's four for four since. The veteran kicker might be trending back up, but he's still relatively high risk and moderate reward. He remains among the league's least-accurate kickers, all the while only four of his 20 field goals this season have gone for over 40 yards, none in the past eight games. Analysis: Bailey entered Sunday's game struggling of late, missing four of his last six field goals. The 30-year-old veteran has converted just 72 percent of his kicks, making him hard to trust in fantasy formats. Analysis: Bailey's scoring opportunities were limited by a sluggish Vikings offense. However, after Seahawks linebacker Bobby Wagner appeared to boost himself up to block Bailey's 47-yarder, his lone field-goal attempt still played a big part in the game's storyline. Controversy or not, Bailey has now missed four kicks over his last three appearances, no longer making him the model of consistency he once was. Analysis: Bailey missed wide left from 48 yards on his first attempt, but later converted from 39 yards on his second try. The veteran has now made just two of his five field-goal opportunities over the past couple weeks, raising concern levels as Minnesota enters the last quarter of the season. Bailey converted one of three field goals and all three PATs during Sunday's 27-20 victory over Green Bay. Analysis: Bailey could have had a huge day in both fantasy and real life had he been able to convert on a pair of long-range field goals from 48 and 56 yards out. Now just 4-for-8 from beyond 40 yards in 2018, Bailey may not have the complete trust of the coaching staff going forward, which could play a role in how often coach Mike Zimmer decides to go for it on fourth down in four-down territory down the stretch. 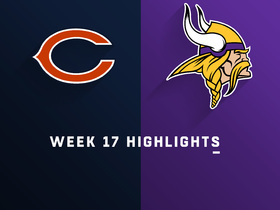 Bailey converted both his field-goal attempts during Sunday's 25-20 loss to the Bears. Analysis: Bailey's two field-goal attempts came from 36 yards and were both successful. 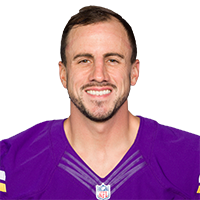 Since signing with the Vikings in Week 3, Bailey has missed only three field goals and one extra point. He should see a fair amount of volume during the Week 12 divisional tilt against the Packers. Bailey made his only field-goal attempt from 39 yards in Sunday's win over the Lions. He also converted all three extra-point attempts. Analysis: After missing two field goals in Week 5, he's made six of seven field-goal attempts in his last four games. 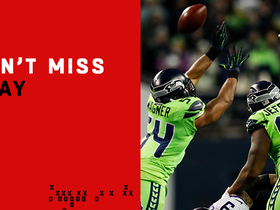 His only miss during that span came from 42 yards. Bailey did not attempt a field-goal and made two of three extra-point tries during Sunday's 30-20 loss to the Saints. 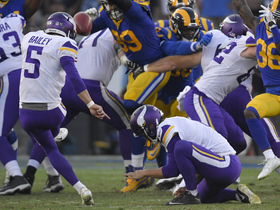 Analysis: Bailey logged his second game without a field goal attempt as a Viking. The 30-year-old will look to bounce back against the Lions in Week 9. Bailey converted three of four field-goal attempts and made all four extra-point attempts in Sunday's win over the Jets. Analysis: Bailey's only missed field goal was a 42-yard attempt during the end of the first half, but he did connect on a separate 43-yard try. The 30-year-old remains a solid fantasy option against the Saints in Week 8. Bailey made field-goal attempts of 48 and 37 yards and converted all three extra-point attempts in Sunday's win over Arizona. Analysis: Bailey missed two field goals the week before, so Sunday's outing was a confidence builder. 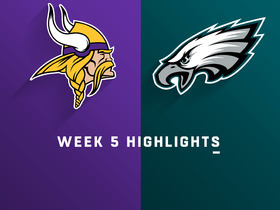 Bailey connected on three of his five field-goal attempts and knocked through both of his extra-point attempts during Sunday's 23-21 win over the Eagles. Bailey made three of five field-goal attempts, missing from 45 and 28 yards, in Sunday's win at Philadelphia. He converted both extra-point attempts. Analysis: Bailey looked to be extending Minnesota's woes at kicker early in the game with two misses in his first three attempts, including a 28-yarder. However, he rebounded by essentially sealing the win with a key 52-yard field goal late in the fourth quarter. Bailey was 3-for-3 on field goal attempts and made two extra points in Thursday's loss to the Rams. Analysis: After not getting a single attempt in his Vikings debut, Bailey got the chance to showcase his leg Thursday and was perfect in doing so. The Vikings offense returned to form in Los Angeles, and as long as that keeps up, Bailey should be seeing plenty of opportunities moving forward. Bailey did not attempt a kick in Sunday's loss to the Bills. Analysis: It was a disastrous day for the Vikings' offense, and as a result, Bailey's services were not needed on his first day in a Minnesota uniform. 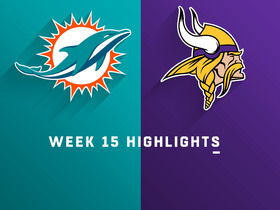 Bailey didn't even get a chance to kick an extra point on the team's lone scoring drive because the Vikings had no choice but to attempt a two-point conversion. This appears to be an outlier day for what was a highly productive Minnesota offense for the first two weeks, so Bailey should still be considered an elite fantasy option at kicker moving forward. Bailey agreed to a contract with the Vikings on Monday, Ian Rapoport of NFL Network reports. Analysis: Bailey reportedly spurned some previous offers while looking for the right situation, and he now lands in a spot with a good team context. He's thus back on the fantasy radar and could be a decent add for fantasy owners looking to upgrade their kicker situation heading into Week 3. Bailey has turned down contract offers from as many as four teams, Adam Schefter of ESPN reports. Analysis: Bailey worked out for the Jets a couple weeks ago and clearly has a market for his services after being released by the Cowboys at the end of the preseason. With several kickers struggling early in the season, he appears to have his choice of a few teams if he does decide to return to action. It appears he's waiting for the right situation and it's unclear when and if he'll decide to play. Bailey will travel to New York for a workout with the Jets on Monday, ESPN's Field Yates reports. Analysis: Bailey lost the Cowboys' kicker competition to Brett Maher and was released by Dallas on Saturday as a result, but the second-most accurate kicker in league history could latch on with a Jets team that currently sports Jason Myers as its starting kicker. The Cowboys released Bailey on Saturday, Clarence E. Hill Jr. of the Fort Worth Star-Telegram reports. Analysis: One of the more shocking roster decisions of cutdown day, Bailey's seven-year run with the Cowboys has come to an end. Prior to missing four games due to injury last season, he hadn't missed a game in his career, but the front office must have liked what it saw in Brett Maher during the offseason and preseason. The latter will serve as the team's placekicker moving forward while Bailey likely fields calls from a number of organizations. Bailey said this offseason that he feels great and is 100 percent healthy, David Moore of The Dallas Morning News reports. Bailey finished an injury-plagued regular season having connected on only 75 percent (15-for-20) of his field-goal attempts while missing the first two extra points of his NFL career. Analysis: All seven of those misses came in the final four games of the season, and it's fair to wonder whether Bailey rushed back too soon from a groin injury that kept him out of action from Weeks 8-11. The normally reliable kicker will get the whole offseason to heal and correct any bad habits that crept into his technique down the stretch, and he should be back to his usual self in 2018. Bailey made field goals from 34, 51, 51 and 39 yards, but missed from 34 and 48 yards in Sunday's 21-12 loss to the Seahawks. Analysis: Bailey scored all of the Cowboys' points, including a of couple 50-yarders, but his two misses proved costly as Dallas was eliminated from playoff contention. The usually flawless kicker clearly has been off since returning from his groin injury, and is probably looking forward to getting fully healthy again following this Sunday's game in Philadelphia. Bailey made field goals from 45 and 19 yards while also converting both his extra-point attempts in Sunday's 20-17 win over the Raiders. Analysis: Bailey's 19-yarder with under two minutes remaining ultimately won the Cowboys their eighth game of the season. After a stunning three misses in Week 14, Bailey was back to his usual, reliable self Sunday. Bailey (hamstring) wasn't listed on the Cowboys' injury report Wednesday, David Helman of the Cowboys' official site reports. Analysis: Perhaps as a way to excuse Bailey's two misses from 50-plus yards Sunday against the Giants, owner and general manager Jerry Jones noted Tuesday that a hamstring concern was afflicting the kicker. By avoiding the injury report entirely Wednesday, Bailey erased any doubt about his ability to play Week 15 at Oakland, who has given up the second-most points to kickers this season. Owner/general manager Jerry Jones said Tuesday that Bailey is tending to a hamstring injury at the moment, Drew Davison of the Fort Worth Star-Telegram reports. Analysis: A groin concern forced Bailey to the sideline for four games earlier this season. In three outings since he returned, he hasn't had much problem with extra points, connecting on eight of nine, but field goals have been a different story. While he's made both kicks from less than 30 yards, he missed a pair from 50-plus yards Sunday against the Giants. The ailment may force the Cowboys to be more aggressive in enemy territory, perhaps whittling down the number of potential attempts from distance. Bailey made a 21-yard field goal but missed from 53 and 50 yards in Sunday's 30-10 win over the Giants, when he also missed one of his four extra-point tries. Analysis: Bailey entered Sunday's contest with a perfect kicking record this season, evidencing how rare his struggles were. After an uncharacteristic performance, the veteran will aim to straighten things out this Sunday in Oakland. Bailey made a 24-yard field goal and all five of his extra-point tries en route to eight points in last Thursday's 38-14 win over the Redskins. Analysis: Bailey was perfect on the day, recording his first points since returning from a groin injury suffered in Week 7. Undoubtedly one of the league's best kickers when healthy, Bailey will hope the Cowboys offense can put together another strong performance this weekend versus the hapless Giants. Bailey attempted no field goals or extra points in the Cowboys' 28-6 loss to the Chargers on Thursday. Analysis: Bailey returned from his groin injury Thursday but wasn't able to demonstrate his health, save for two kickoffs. However, the Cowboys have since released Mike Nugent, which is a sign of confidence in Bailey's health going forward, Todd Archer of ESPN reports. Barring further setbacks, he'll be active the rest of the way. Bailey (groin) is active for Thursday's game against the Chargers, David Helman of the Cowboys' official site reports. Analysis: Bailey backed up his prediction of a return, which was partly based on his ability to hit field goals before Sunday's loss to the Eagles. Ending a four-game absence, he'll supplant Mike Nugent, who handled all kicking duties in the meantime. Bailey (groin), who is questionable for Thursday's contest against the Chargers, expects to play, David More of The Dallas Morning News reports. "Hopefully I'll be back out there," Bailey said Wednesday. "I mean, I had a good week in practice last week, obviously kicked before the game Sunday just to get the work in, so I'm feeling pretty good." Analysis: Indeed, the first inkling Bailey was trending toward a return happened prior to Sunday's loss to the Eagles, when he attempted field goals during pregame warmups. He proceeded to practice on a limited basis this week, but his availability Week 12 may come down to a game-time decision. Even if he ends a four-game absence Thursday, his replacement, Mike Nugent, may still be active as an insurance policy. Bailey (groin) is listed as questionable for Thursday's game against the Chargers, David Helman of the Cowboys' official site reports. Analysis: Recent trends indicate a return is possible for Bailey. First, he attempted field goals during warmups ahead of Sunday's eventual loss to the Eagles. In ensuing practices, he was listed as a limited participant Monday through Wednesday. A pregame warmup may be the final test to achieving active status Thursday, but if Bailey is held out again, Mike Nugent will handle all the kicking reps for a fifth straight game. Bailey (groin) was limited at practice Tuesday. Analysis: Bailey's participation in practice this week has been a positive sign, though it's unclear if it will be enough to get him on the field for Thursday's game against the Chargers. Bailey (groin) was listed as limited on the Cowboys' estimated injury report Monday, Rob Phillips of the Cowboys' official site reports. Analysis: The appearance at Monday's walk-through marked Bailey's first in any capacity since straining his right groin Week 7. With the Cowboys preparing for their annual game on Thanksgiving, he may be on the cusp of a return after testing his leg with field-goal attempts during pregame warmups Sunday, according the Matthew Martinez of the Fort Worth Star-Telegram. Only time, and potentially Wednesday's injury report, will tell whether Bailey is poised to end a four-game absence. Bailey (groin) was able to test the strength of his leg on field-goal attempts during warmups Sunday prior to the Cowboys' 37-9 loss to the Eagles, Matthew Martinez of the Fort Worth Star-Telegram reports. "I'm definitely better than I was," Bailey said after the game. "It's still kind of a day-to-day thing." Bailey (groin) has been ruled out for Sunday's game against the Eagles, Jon Machota of The Dallas Morning News reports. Analysis: As expected, Bailey will miss a fourth consecutive game, leaving Mike Nugent to handle kicking duties for Dallas. With the Cowboys also playing on Thanksgiving as customary, it seems likely Bailey will miss at least one more game. Bailey (groin) won't practice Wednesday, Brandon George of The Dallas Morning News reports. Analysis: Cowboys head coach Jason Garrett said Monday that the team wasn't counting on having Bailey available for the Week 11 matchup with the Eagles, so the kicker's absence from practice seemingly supports that idea. Expect the Cowboys to officially rule Bailey out for the contest in the coming days, leaving Mike Nugent to once again handle the kicking duties. Cowboys coach Jason Garrett doesn't expect Bailey (groin) to return for Week 11 against the Eagles, Troy Hughes of CBS Radio Dallas reports. Analysis: The Cowboys expected Bailey to miss at least four weeks, and Sunday's game against Philadelphia would mark his fourth straight absence. Mike Nugent missed a 38-yard field goal attempt in Sunday's 27-7 loss to Atlanta, but he's at least converted all eight of his PAT tries since joining the Cowboys. Bailey still hasn't received clearance to resume kicking and is expected to need a few more weeks off to recover from a right groin strain, Todd Archer of ESPN.com reports. 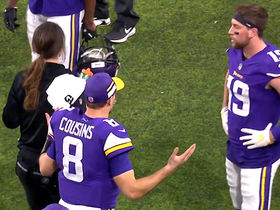 Minnesota Vikings quarterback Kirk Cousins gets animated on the sideline as he tries to tell wide receiver Adam Thielen what he wants to see on a route. Seattle Seahawks linebacker Bobby Wagner jumps over the line to block a field goal by Minnesota Vikings kicker Dan Bailey. 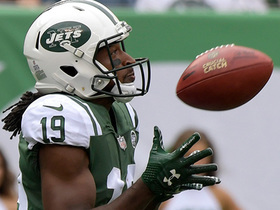 New York Jets wide receiver Andre Roberts turns on the jets returning kick for 54-yards. 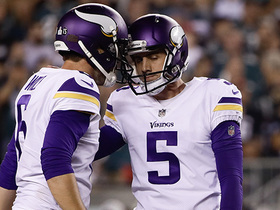 Minnesota Vikings kicker Dan Bailey is PERFECT on huge 52-yard field goal. Minnesota Vikings kicker Dan Bailey's first field goal with Vikings is a banger. 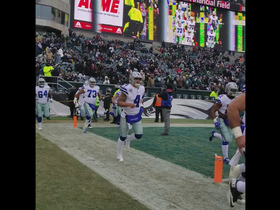 The Dallas Cowboys run out to boos before their Week 17 game in Philadelphia against the Eagles.